Luci Baines Johnson and Lynda Johnson Robb will be the honorary chairs of Spring Shindig 2016: An LBJ Party at the Texas White House on April 23, 2016, an event celebrating the legacies of their parents, President Lyndon B. Johnson and Lady Bird Johnson. The Spring Shindig is the first major fund-raiser for the Claudia Taylor Johnson Endowment—established in honor of Lady Bird Johnson to support exhibits, programs, and the historic collection at the LBJ Museum of San Marcos. 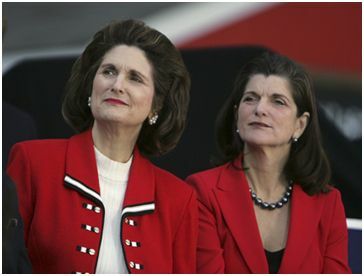 HONORARY CHAIRS: Lynda Johnson Robb and Luci Baines Johnson will be honorary chairs of Spring Shindig 2016, a benefit for the LBJ Museum of San Marcos in honor of their parents. “The Johnson family, including Mrs. Johnson, daughters Luci and Lynda, and grandson Patrick Nugent, have been wonderfully supportive from the beginning of our efforts to establish the museum,” said Dr. Ed Mihalkanin, board president. The Shindig will feature a live performance by cowboy singer Michael Martin Murphey, delicious barbecue, wine and beer tasting from Hill Country vineyards and breweries, and unique auction items. The festivities will take place in the Oak Grove of the ranch at the LBJ National Historic Park on the banks of the Pedernales River. Sponsorships for the event are now available at www.lbjmuseum.com/springshindig or by contacting event organizer Suzanne Perkins at 830-385-1645 or suzanne@lbjmuseum.com. Sponsorship levels include Presidential ($10,000), Vice Presidential ($7,500); Senatorial ($5,000) and Congressional ($2,500). 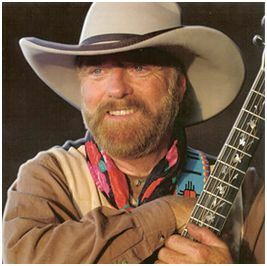 Known as one of the great songwriters in America, Michael Martin Murphey’s music has often topped the Pop, Bluegrass, Country and Western music charts. Singer Michael Martin Murphey headlines the musical entertainment at Shindig 2016 at the LBJ Ranch in Stonewall. The Shindig will feature delectable barbecue by Kent Black, a third generation pitmaster, whose family ties to the Johnsons go back to their friendship with his grandparents in the 1950s. Tastings of beer and wine from Hill Country area breweries and wineries will be featured at the Spring Shindig. LBJ is a 1930 graduate of Texas State University, then called Southwest Texas State Teachers College. He returned to his alma mater many times, including the signing of the 1965 Higher Education Act. For more information, visit www.lbjmuseum.com/springshindig/, call 512-353-3300 or visit the Museum, 131 N. Guadalupe Street, San Marcos. The Museum is free and open to the public Thursday-Saturdays from 10 a.m. to 5 p.m.